I've been thinking a great deal about the importance of expressing love well. How to speak someone's love language, if you will. How to show my truest adoration both transparently and honestly, yes,... but also in a way that proves immutably and receptively beneficial to whomever my love is focused. Most of you are likely familiar with renowned Christian author and Focus on the Family marriage counselor, Gary Chapman. His life's work on the topic of The Five Love Languages rocked many households way back when his "flavor of the month" mass-media book hit the shelves. In it, he concluded that there are five distinct and basic love languages (five ways) to express love to one another. According to Mr. Chapman's research, "Each person has a primary love language that we must learn to speak if we want that person to feel loved." I remember reading this and thinking, "This list is definitely important, but can we generalize love that simply?" What followed (at least in my life), were months of Christian friends and family buzz-wording their primary love language amongst one another with hopes to more personalize the book's formulaic breakthrough. While I'm not certain that such a broad outline is realistic or healthy in identifying one's personal capacity to give or receive love, I do respect the position that love indeed requires a fluency. For language is only useful with comprehension. As such, we cannot know love if we do not understand what true love really is. Scripture has so much to say about love. The Hebrew and Greek text break down varying interactions of love into many categories such as provisional/caring love (between Boaz and Ruth), friendship-based love (between David and Jonathan), intimacy-based love (between Solomon and the Shulamite woman), commitment love (Hosea to Gomer), and even parental love (Paul with Timothy). However, there is one form of love that Scripture identifies exclusively: Agape love. This love comes only from God. In fact, this love IS God. It is His nature, and showcases His character and devotion. 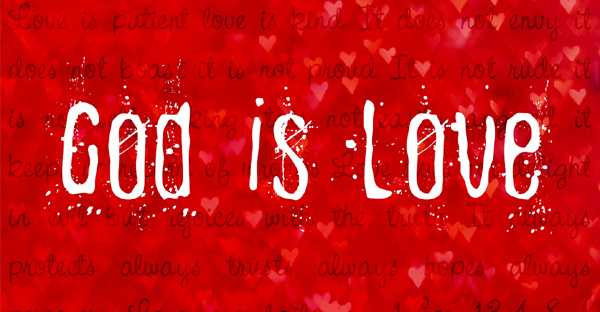 Agape love is not a paint-by-numbers human way to feel or act. It is not a cliche list that caters to our emotional stimuli. No, agape love is the truest, most genuine real love. It is... because God is. And God is unchanging, eternal, sovereign, solid. Astoundingly, God does not require us to be "worthy" in order to receive or know His love personally. In fact, He actually created us with a free will to either choose or reject Him. Mind-blowing, right? So, how will comprehending God's love help us express love well? That is what we will be studying and sharing here in the days/weeks to come. I can't promise that I will be able to post a consistent daily blog entry due to my own health issues... But no matter. I believe God's timing is perfect, and He will always provide exactly what is needed in order for us to seek and know Him better! I hope you will join me on this journey and share accordingly in the comments section (below). what would happen if you "washed" his feet? God and you... or just you? the vagueness of "a higher power"